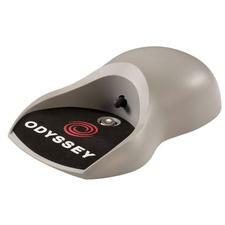 Odyssey Golf Kickback Putt Cup (Battery Operated) - $19.95 - GolfersEdgeOnline.com - Best Golf Equipment On The Web! The Odyssey Kickback Putt Cup is a great gift for the avid golfer in your life. Improve your putting stroke anywhere. Easily portable - it automatically returns made putts a minimum of 10 feet. If you have any more questions about the Odyssey Golf Kickback Putt Cup (Battery Operated); do not see the model you are looking for; need custom options; or prefer to not purchase online, then please call us at (630) 656-1291.